Materials such as peanut butter present special challenges in mixing processes. They are generally very thick, abrasive, contain entrained gas, and are difficult to clean. Additionally, they must be maintained at a proper temperature so as to not harden in process lines, or burn due to overheating. 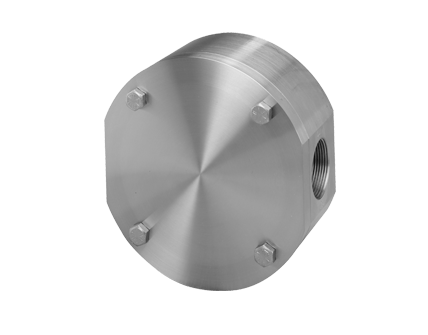 Food manufacturers rely on Flow Technology’s positive displacement flow meters in such demanding applications. These rugged, precise meters typically provide better than 0.5% accuracy with up to 1000:1 turndown. If temperature control is necessary, the meter body can be steam-jacketed or wrapped in electrical heat tracing to maintain a constant temperature inside the device. Excellent flow metering solution for high viscosity fluids. Sanitary versions available. 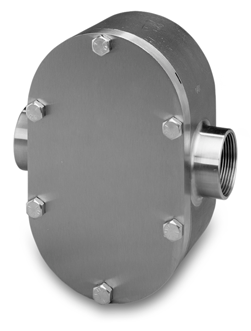 The unique impeller design maximizes reliability, accuracy, and cleanability. Only 2 moving parts.